Transitioning from 2018 to 2019 has had its challenges for PT Watercraft. One of the big issues for us has been to update our builder’s manuals. 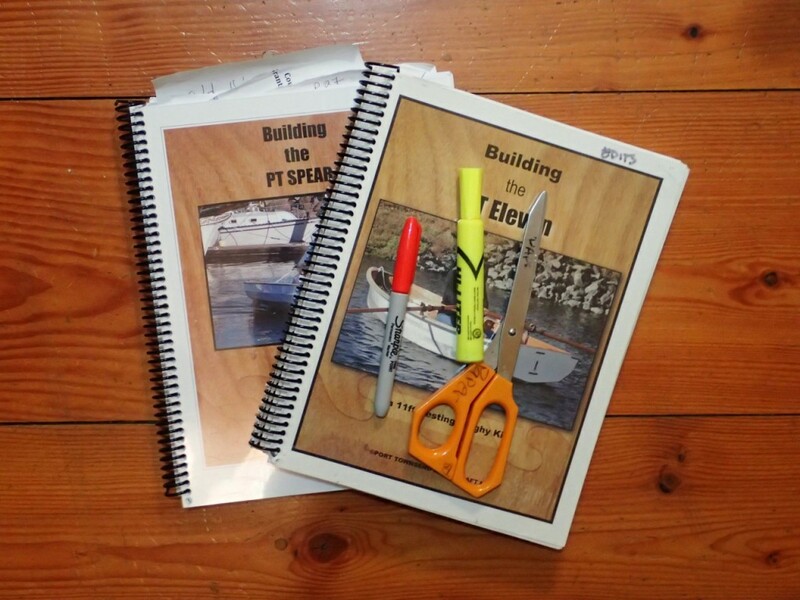 The PT 11 manual has just endured a big rewrite while Russell built another boat following the existing manual. This was something we had been working on for a while. We felt the final push to finish it when a customer asked a simple question about screw size. The realization that we had been instructing builders for the last two years to use a screw size that was inappropriate, was a shocker. The size screw we called for on the gunwale reinforcement, #12 instead of #10, would have worked but could have caused some serious hydraulic pressure issues (when installing with epoxy) considering that the hole size we called for was based on #10 screws. --This PDF -- has some updates to the manual including that new section. Over 100 PT 11 nesting dinghies have been built with our ever evolving manual. To console ourselves, we prefer to credit the ‘quiet-type’ builders with seeing our errors and correcting them on their own. We hope so. For those who blamed themselves thinking, “I must have done something wrong,” we humbly apologize. We have created a fairly technical boat. To get the most out of our kit, the builder really has to follow the manual. To get the most out of our builders, they have to have a manual that really does the job. We feel very strongly about our designs and we want the boats built to be the best examples possible. For Russell personally, he puts so much effort into producing the kits, and has built one every time he felt the need for serious revision of the manual, that if the manual falls short, or has real errors, he feels like he is falling down on the job. A good manual also reduces the number of questions for our limited capacity to respond, but without feed back, we might never have known where the problems were. Thank you. We are humbled by our inherited family of kit builders; the novice in particular who takes on such a big commitment with enthusiasm and dedication. In general, we want to congratulate every, single, one of our builders. Our kits are not the simplest or easiest to build. So many of the technical steps are geared toward longevity, the potentially extreme conditions of use, and the intention that your investment of time and money has resulted in a worthy boat. The new manual may not produce a “better” boat, but, it will make it easier to get the most out of your kit. For those of you currently building the PT 11 Nesting dinghy, view the PDF here and/or contact us. We want to know where you are in your project. Many of you should get a new manual. We expect they will be available in February. It is a big hit for us to send everyone a manual at our expense so we need to charge for printing and shipping. Another note to our builders; We have been doing a lot of gasket testing but are still puzzling over our options. Please give us more feed back. We’d like to hear from you if your gaskets are working fine or if you have had issues and if so, what have they been?